visited a friend yesterday. When she started to apologize for a mess only she could see, I said, "B, I don't see your house, I feel your house. And it's full of love." Bought a big stalk at the Farmer's Market. It looked like a Christmas tree: a triangle of green. Came home and hacked off the sprouts, big and small. Chopped them finely and roasted at 425 degrees with diced garlic and hot peppers. Good with melted cheese or can add to soup, vegie or rice dishes. Washed the new fleece. It's black and silky, long fibers, with curly brown ends. I rinsed it twice in cold water from the hose, gently submerged in a tub. Then I spread it out on the sunny floor of the summerhouse. I turn it, pick out grass, turn it again. I wipe the lanolin on my bare legs. When the sun sets I put on a wool sweater, showing the fleece it's future. Sat on Betsy & Dave's deck on an autumn afternoon. The sun shone and the breeze blew through maple, popple, and pine on my left. Apple trees on my right. Like I was in an orchard. Blue sky, white cotton clouds. We sipped green tea and nibbled on her blueberry muffins: crisp and sugary on the outside, warm and crumbly inside. Tart wild berries. If you search amethyst health.... you'll be guided here. Amethysts represent the search for higher meaning: the search for enlightenment, improved health. They are purple quartz. They magnify energy. Health, the expansion of consciousness, according to nurse theorist Margaret Newman. Health as an "ah ha!" moment. Health as insight. You may not see it, me working 50-70 hours/week. You might think I value work first. Well, I do have a full-time (50+ hours/week) and 3 part-time jobs. Yes, I work a lot. I like to keep busy and connected. I volunteer too. Usually around 100 hours/ year. 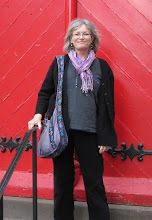 I share Reiki, manage a Reiki team, serve on a board, and participate in regional integrative health meetings. That busy and connected thing again. Manage a home, garden, blah blah blah. Would love to have a cook, gardener, secretary, valet, and personal trainer. Alas. Friends. So important to my soul and happiness. I don't know about you, but Dr Who has kind of ruined angel statues for me. 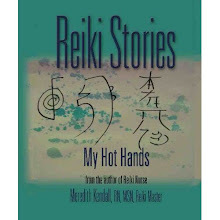 donating a signed copy of Reiki Stories to the local United Way. This worthy organization helps those who need a hand. My son needed a hand for a while. He used to thank me apologetically and I used to tell him, "You're just a man who needs a hand. I can help." Now he's a man who provides for his family; he's responsible and kind. I hope my donation will help a man who needs a hand. A former co-worker (MC) said once, "We could all use a little more grace." Is it fatigue or low self-esteem that causes some to be heartless? To play the blame/shame game? Please take care of yourself, so you can take better care of others. Please be kind. You have a problem with another person's behaviors or statements? Take the time to listen. You might change your mind. That's my rant for today. Thank you.